First dibs on new treasures. 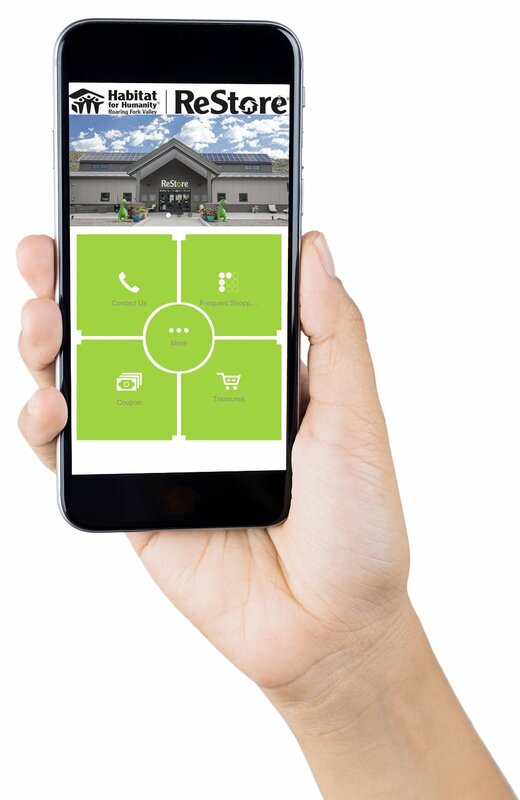 The app includes the ability to add items to your cart to put on hold at the ReStore to ensure your newfound treasure will be ready and waiting. Exclusive coupons and savings. Increase your savings with app-only coupons as a thank you for your loyalty. Access to our Frequent Shopper Program. The app includes an easy-to-use mobile punch card. Save big while supporting our ReStore. Perfect for bargain hunters, savvy savers, and treasure hunters. ReStore Insider app is available on Google Play and the App Store. Download it today and start saving!